Last edited by winwave on Sun May 13, 2018 4:19 pm, edited 1 time in total. 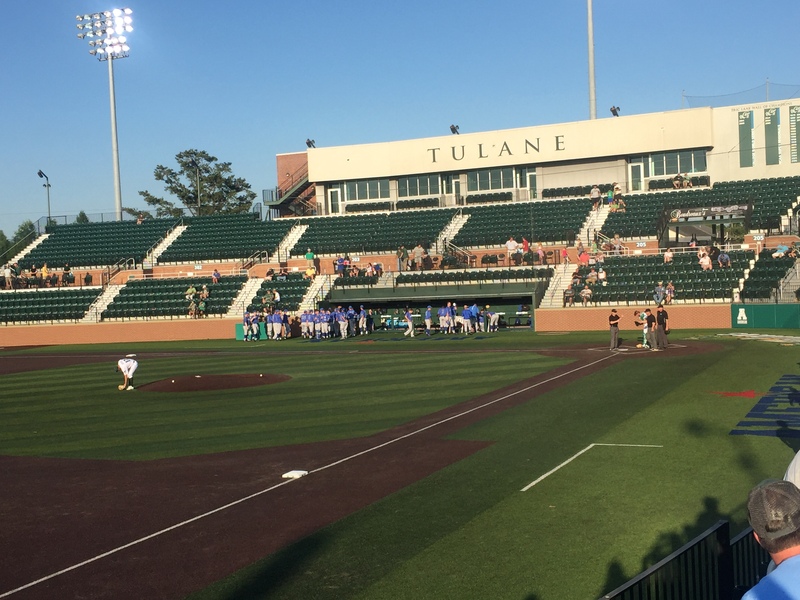 If Tulane loses this weekend series to Memphis (the worst team in the league with only 3 wins), then a HC change is needed, period. 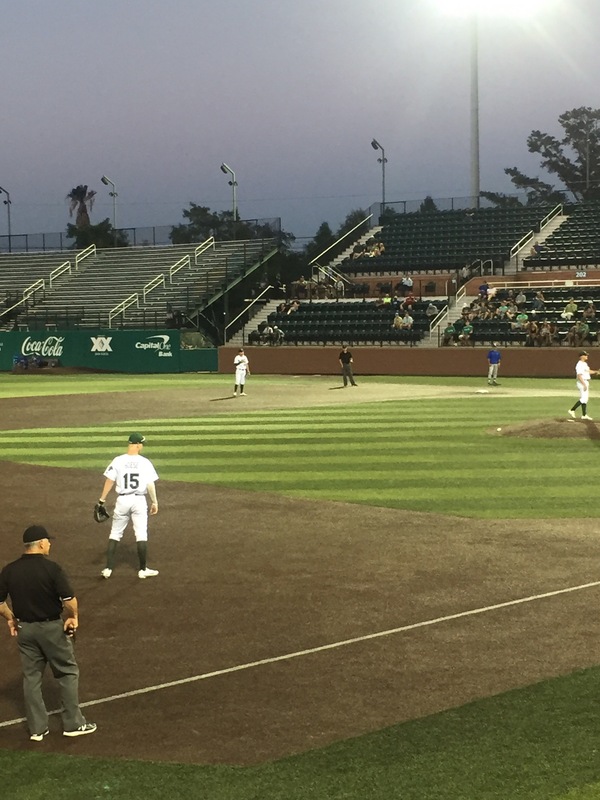 Roper gives up only 2 hits in 7 innings. 1700 probably paid attendance. Actual bodies in the seats not close to that. I didn’t even see you. Were you an actual body, T ? Good game — we did what we were suppose to do — three home runs including first back to back of the season. Roper had a great first inning, had a shake next three, then settled and retired the last ten he faced. Grant Matthews had a three hit night including a dinger. Thanks, that’s what I figured. Still, I’m glad for the guys that they went out and took care of business. 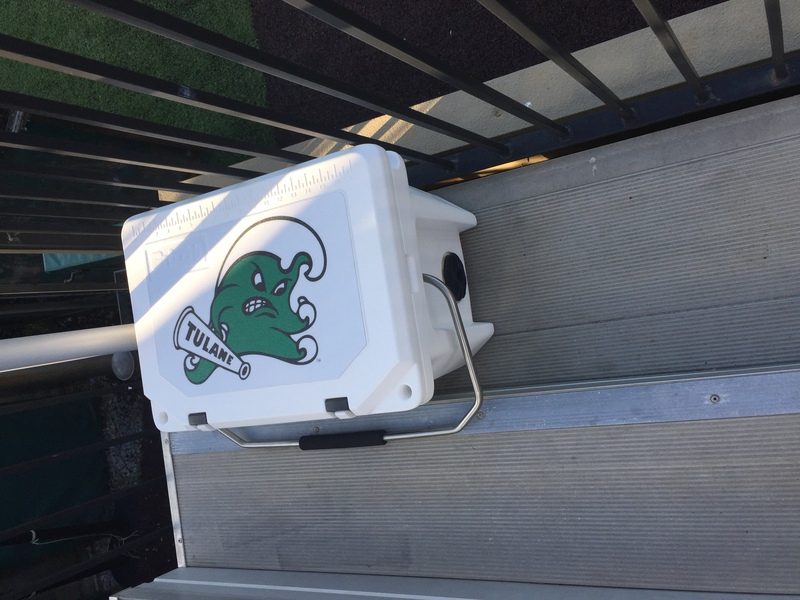 A mutual friend (chain gang) won an Green Wave ice chest from last weeks raffle. So before the game I went over to the 3rd base side to see it. I then realized the sun was blasting 1st base side so decided to stay until the sun went down. Once it did an hour later I thought I better stay because I didn’t want to leave my “lucky seat”. I guess it worked out 9-1!!! . The first two pics were right at the start. The 3rd picture was around the 5th. 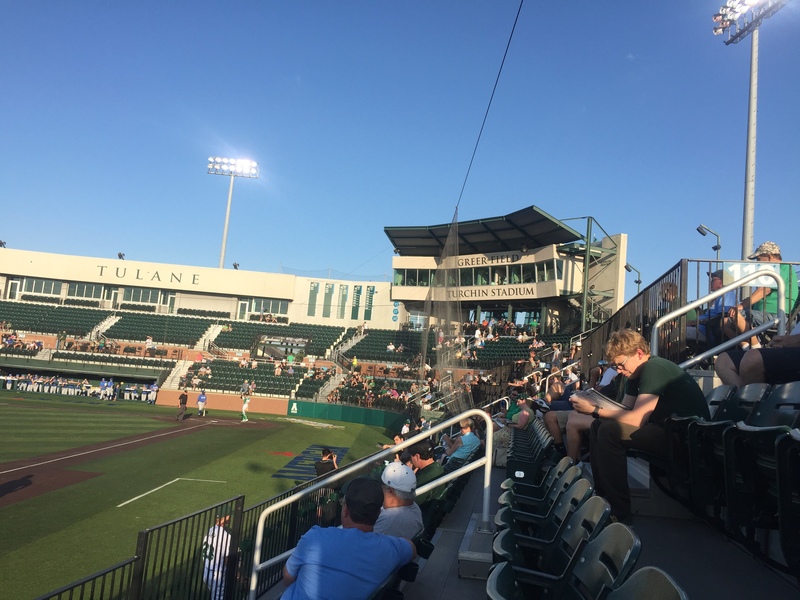 To be honest the GB section filled in a little from the first two pics a few innings into it. But the rest not so much. The Wave takes game 2 13-2 powered by GMAT's 3 homers. And, Witherspoon's grand slam in the 7th! For sure! All 3 here. The hat trick! Wave drops it’s 7th straight AAC game 3. Loses to Memphis 3-2 on a wild pitch. We got more free passes than hits. We got 8 walks and one hit batter. They contributed to those loaded bases and we clearly didn't get timely hits.